BridgeWell Capital is Little Rock’s #1 hard money lender for real estate investments. We work with investors throughout Arkansas, who need to secure fast, hassle-free sources of capital to take advantage of investment opportunities as they become available. BridgeWell Capital professionals often finance investments in as little as 7 days; no matter your current credit, financial, or employment situation. From Forrest City to Fort Smith, and all points between, no one in the Natural State works harder for you than BridgeWell Capital. If your investment makes sense and promises a solid profit margin, you can be approved for hard money financing. How is BridgeWell Capital Unique from Other Hard Money Lenders in Arkansas? 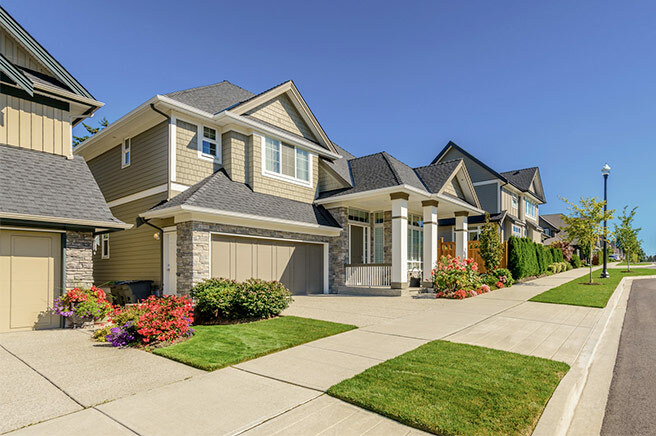 Competitive Terms:Our hard money loan programs range from 5.9% to 12.95% APR, and we lend up to 80% LTV, with loan terms ranging from 1 to 30 years. Consistent, Responsive and Reliable Service:At BridgeWell Capital we pride ourselves on providing unparalleled customer service. We walk you through the entire process, so you know exactly what to expect. If you have questions, your personal account executive is always available and ready to assist you. Simply put, once you’ve done business with BridgeWell Capital, you won’t go anywhere else for your real estate investment hard money loans. In fact, a strong percentage of our business comes from repeat customers. See our testimonials. Experience:With over 30 years of real estate investment experience, our management team sets industry standards, having successfully funded over USD$200MM in hard money loans for real estate investors. Support & Coaching:We strive to be more than just a source of private money for real estate investments. Our hard money loans are structured around win-win business relationships with our borrowers. We want you to be successful in your investments, so we provide you with all the support and real estate industry best practices you need to make smart, confident investment decisions. From rehab to rental, BridgeWell’s got Little Rock covered. Licensed Mortgage Lender:Unlike other hard money lenders in Arkansas, BridgeWell Capital is a fully-licensed and insured mortgage lender that’s A+ rated by the Better Business Bureau. Wide Service Area:We provide hard money loans to the Little Rock metropolitan area, and throughout the state, including but not limited to; Batesville, Bella Vista, Bentonville, Conway, Fayetteville, Fort Smith, Hot Springs, Jonesboro, North Little Rock, Pine Bluff, Rogers, Siloam Springs, Springdale, Texarkana, and Van Buren. It is no secret Arkansas’s real estate market offers some good investment opportunities. According to the most recent statistics available from the Arkansas REALTORS® Association, 2015 is shaping up to be the best year for the state’s housing market in quite some time. Residential sales statewide were up 9.95% year-on-year for the month of July, as were home values and highest average sale prices increasing 14.47 and 4.11% respectively. Keeping up with the markets and staying up-to-date on current trends throughout Arkansas can lead to, not only smarter investment decisions, but ultimately, a more successful portfolio of investment properties. At BridgeWell Capital, we approve our hard money loans based on your ability to succeed, and local market trends and indicators are some of the factors we encourage our borrowers to use to make smart investment decisions. Central Arkansas Real Estate Investors Association: Serving real estate investors throughout the Little Rock metropolitan area and beyond, the Central Arkansas REIA meets on the first Thursday of every month, unless otherwise noted, at the offices of Keller Williams Realty in Little Rock. Meetings are open to the public and free for first-time guests. REIAs are a great place for real estate investors to grow their business and we highly encourage getting involved. Find the REIA that best fits your needs. A well built out knowledge base and support group can only help when it comes to making your next real estate investment project a success. BridgeWell Capital is Arkansas’s #1 hard money lender for real estate investments. Whether it’s rehab loans or investment for rental properties, BridgeWell Capital is the most trusted name in private money lending. If you need help financing your next commercial or residential real estate project contact us today! At BridgeWell Capital you’re REIApproved (Real Estate Investments Approved). BridgeWell Capital wants you to be a success in real estate investing, and that takes knowledge, but the key to knowledge is knowing where to find it. Here are some links to help you get find the answers you seek. At BridgeWell Capital we’re committed to your success, and we are ready to become an integral part of your real estate investment team. For more information about our hard money loans throughout Arkansas, call us at 866-500-4500, or fill out our request funding form online and we will contact you within one (1) business day. BridgeWell Capital LLC is a direct, licensed mortgage lender that provides financial services to real estate investors all over the country, including financing for residential investor flips, financing for rental properties, and cash-out refinances to make it’s clients investing endeavors more profitable and efficient. BridgeWell Capital works with real estate entrepreneurs, realtors, property management companies, brokers and wholesalers by providing a fast and convenient source of investing capital.